I have attended many trade shows over the 25 years that spans my sales life. For the last 16 years, I have served as president of Southern Advertising, and prior to that, I was in the uniform rental business. During my time in the uniform rental business, we attended many years of trade shows. To be honest, I did not fully appreciate how much they contributed to my sales as well as the networking that resulted in the contacts I made during those shows. We primarily attended maintenance and engineering shows here in Greenville, SC. There were always technology shows going on at the same time, and we got plenty of companies that would come in and visit from that. Being someone on the ground floor of attending these events, my success hinged on giveaways for many reasons. The first reason was attracting the right people to our booth so we could introduce our company and what we could provide for them. The second, and the most important is giving away something that is unique and will give a lasting impression so the person that is walking away from the show will remember me and contact us for future orders! After all, the reason we invest in going to these types of events to hopefully gain an entrance to sell them something in the future. ROI (return on investment) is very important, and now that I am more vested in Southern Advertising, the main thing we need from a trade show is a good ROI. 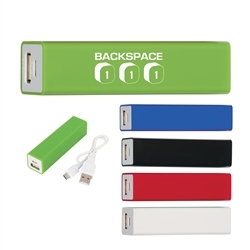 Trade show giveaways are the tools we need to help increase the chances our investment will have a very good result. 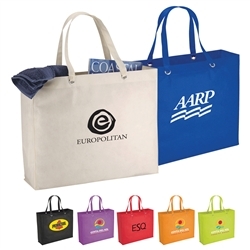 1- Printed Tote Bags - Bags are very good because attendants at the show will put other items in the bag. 2- Quality Custom Waterbottles - Everybody drinks water, I can tell you a nice waterbottle will always be used. 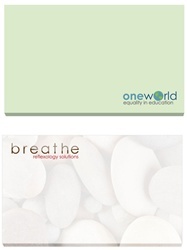 3- Custom Note Pads - Note pads will be used everyday and a great desk accessory. 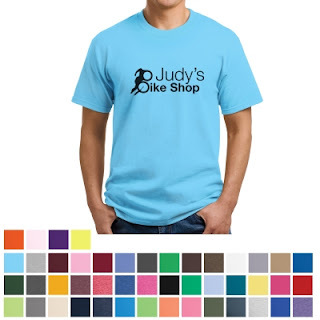 5- Printed T Shirts - Everyone loves printed t shirts and if you give one away I can promise it will be worn. If you are unsure about which trade shows giveaways to use for an event we will be more than happy to consult for free and I am also going to be doing more articles in the next several weeks offering more ideas.